Fall is upon us, whether we like it or not. You just have to embrace it…..and you simply must eat cider doughnuts. It all starts with some concentrated apple cider. 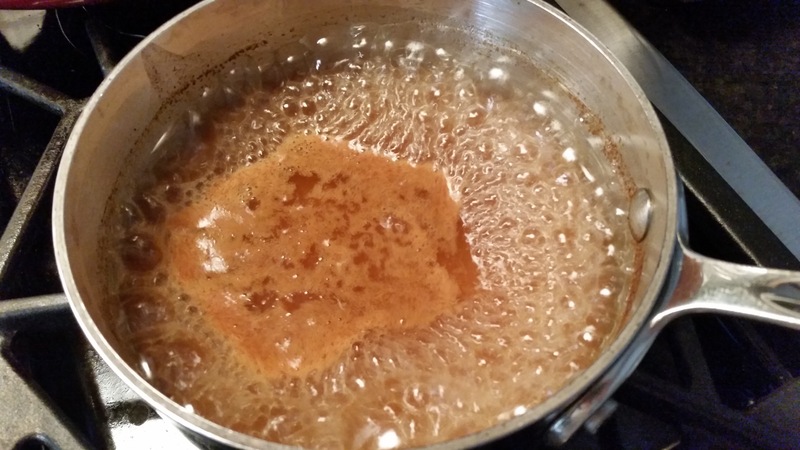 I added a pinch of cinnamon and allspice to the cider and let it reduce for 5-7 minutes. The smell was heavenly! I wouldn’t judge you if you stopped right here, grabbed a mug, a shot of whiskey, and enjoyed. 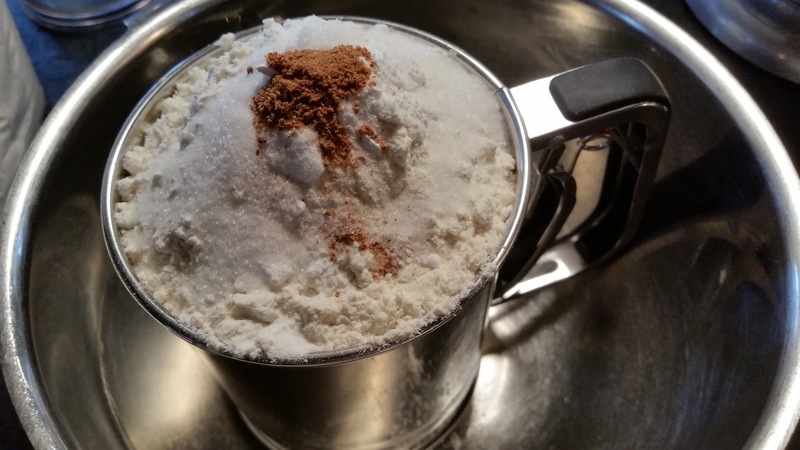 Dry ingredients get sifted…..easy enough, right? The eggs, lard and sugar get a whipping, while the cider cools. You then begin adding the dry ingredients, along with the buttermilk and cider, to the whipped eggs. Ok, so let’s take a minute to analyze the batter. Either I severely mis-measured my flour or the recipe was just plain wrong. Now that being said, you could stop right here and make some pretty incredible pancakes! I forged ahead and gently folded in another cup of flour, a little at a time. Do not be tempted to use the mixer, when adding additional flour, or your dough will be tough. The less mixing the better. After the dough chilled for a few hours, it was time to get the show on the road. 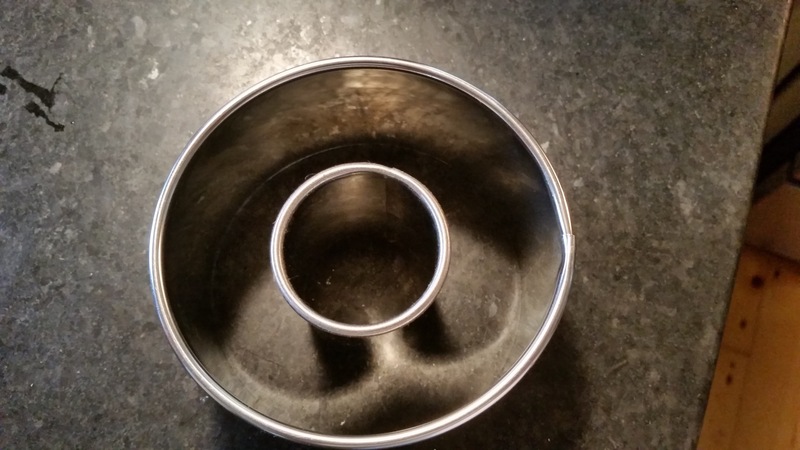 No fancy doughnut maker here….just a couple of baking rings. While the oil came up to temp, it was time to cut the dough. You need to work quickly because as the dough warms up, it becomes difficult to work with. Once cut, put them on a piece of parchment paper and chill them for another 15-20 minutes. Save those holes!!! They make great munchkins and they also act as sacrificial lambs, to ensure the oil is hot enough. Speaking of oil, I found 370 degrees to be too hot. My first few holes browned too quickly and the insides weren’t cooked. I would recommend 350 and just keep a close eye on it. Instant read thermometers aren’t cheap but they are your best friends. I would recommend a large spatula to gently drop the dough into the oil. If you attempt to pick them up, they’ll lose their shape. 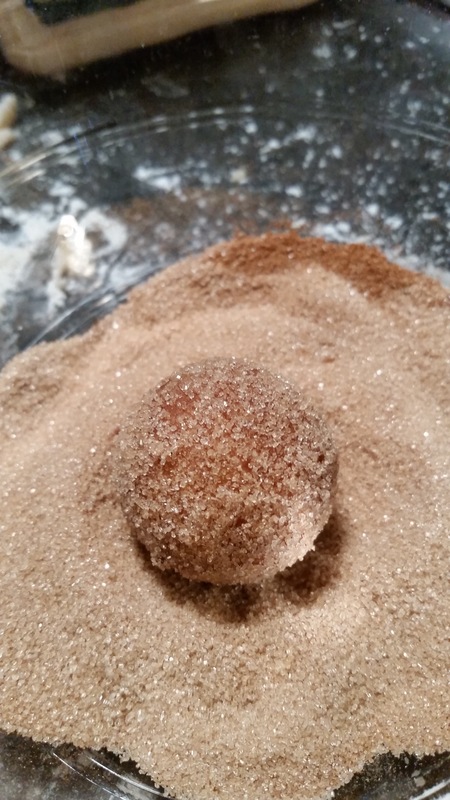 As each batch gets fried, I immediately rolled them in the sugar and cinnamon. Speaking of sugar, I preferred the larger granules of cane sugar, like Sugar in The Raw, vs regular sugar. Dense, sweet, full of apple flavor….just delicious. Makes 10-12 donuts and holes, depending on the size of your baking rings. Bring the apple cider, 1 teaspoon of cinnamon and a pinch of ground cloves to a boil over high heat and cook it until it has reduced to 1/3 cup, 7-10 minutes. Set aside to cool while you prepare the rest of the donuts. Sift the cake flour, baking powder, salt and nutmeg. 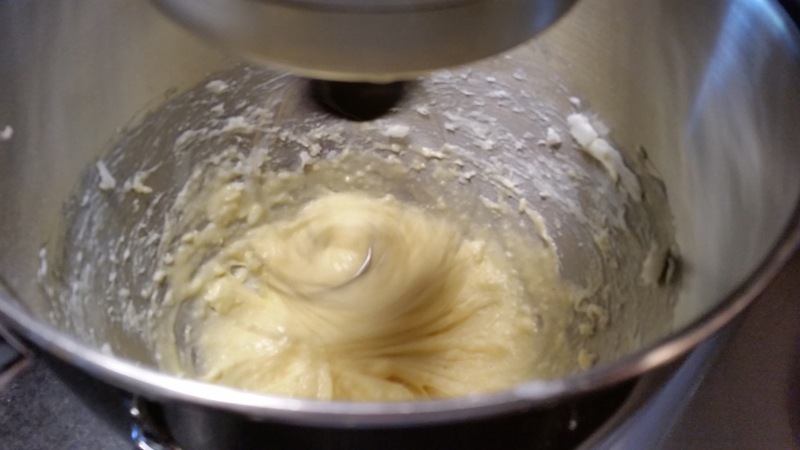 In the bowl of a stand mixer, mix the shortening and sugar together on medium speed until sandy. Add in the egg and egg yolk and mix on high until light and thickened, about 5 minutes. Mix the reduced apple cider and buttermilk together. 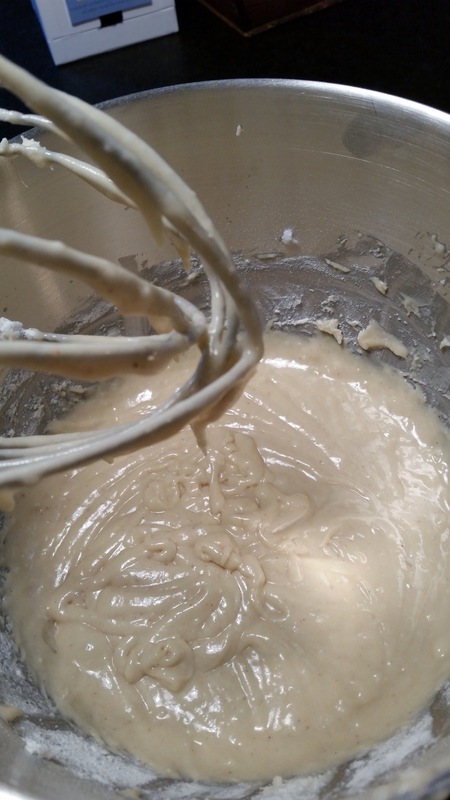 Then add the flour mixture, alternating with the milk mixture to the mixer in three additions mixing until just combined. Gently fold in additional flour, if needed. The dough will be soft and sticky much like cookie dough. Transfer the mixture to a clean bowl and cover with plastic wrap. Refrigerate the dough for at least one hour or overnight. 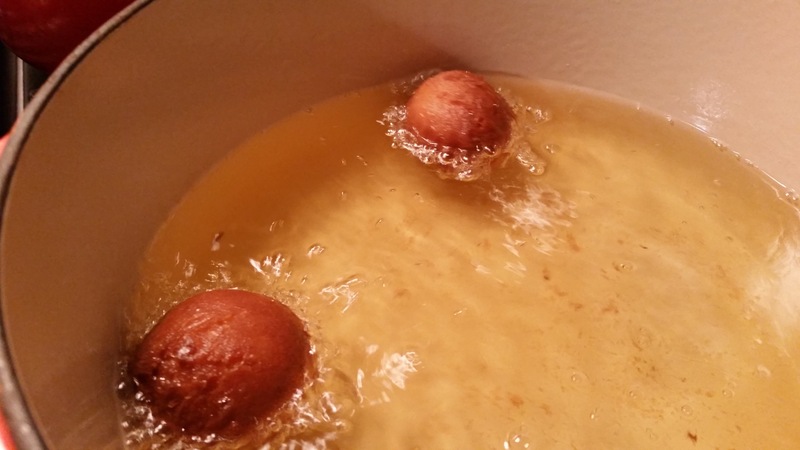 When you are ready to roll and fry the donuts, heat a large pot or dutch oven with at least 2 inches of oil over medium heat until the oil reaches 350º on a candy thermometer. 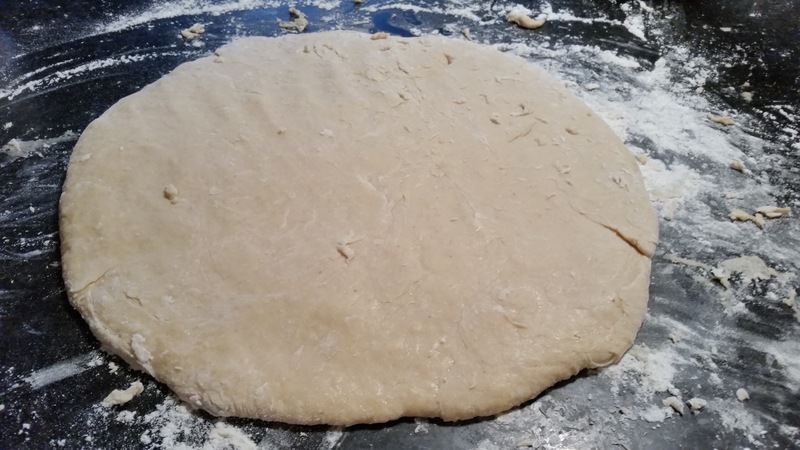 Gently roll the chilled dough out onto a generously floured board or piece of parchment paper into a circle about 1/2” thick and about 8” wide. 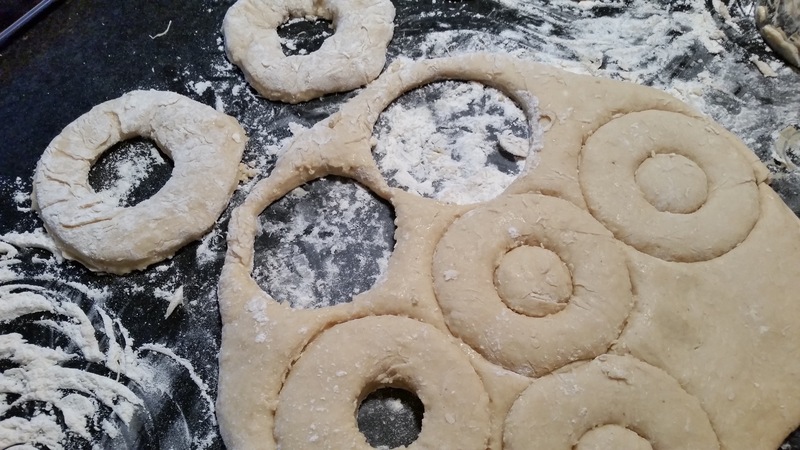 Cut as many donuts and holes as possible, making sure to flour the cutters before each cut. Gently reroll the scraps and cut more holes. If at any time the dough becomes too soft to handle, just put it in the refrigerator for a few minutes. Place the cut donuts on a parchment lined baking sheet and refrigerate for 15 minutes until they are slightly firm and easier to handle. 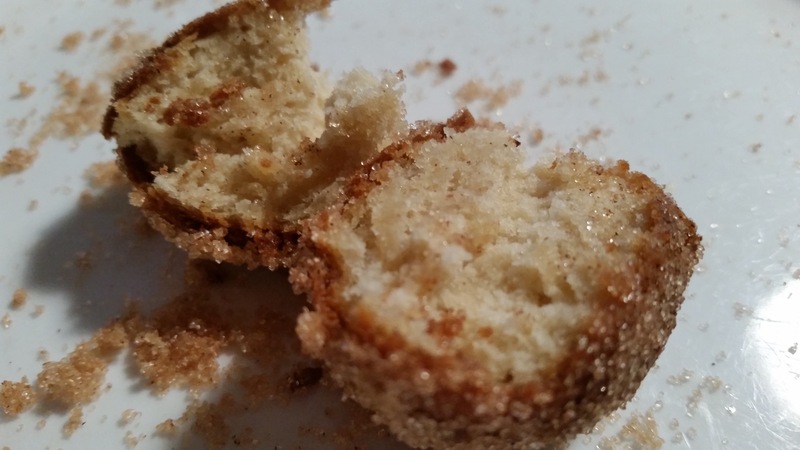 While the donuts are chilling, stir together the cinnamon and sugar for the topping in a shallow, wide bowl. 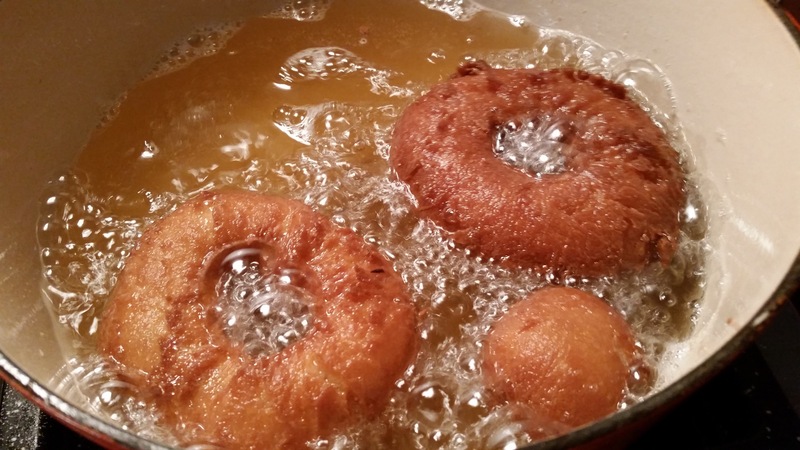 Brush off any excess flour and fry the donuts for about 1 minute per side, being careful not to crowd the pan. When the donuts are deep golden brown on each side, remove them from the oil, gently blot off excess oil and toss immediately in the cinnamon sugar.